Are Chromebooks Good For Programmers? If you're a programmer, developer or Computer Science major, you might be thinking of doing some programming work on that new Chromebook you're planning to get. 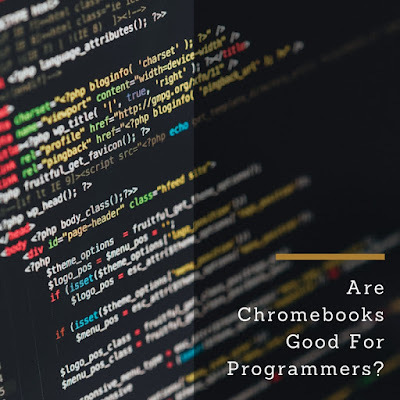 In fact, one of the more common questions we've seen on forums is whether Chromebooks are good for programmers. So, are they? Chromebooks run on ChromeOS and weren't meant for programming but that doesn't mean you can't write code on them. They have terrific specifications for a very reasonable price and are very portable. 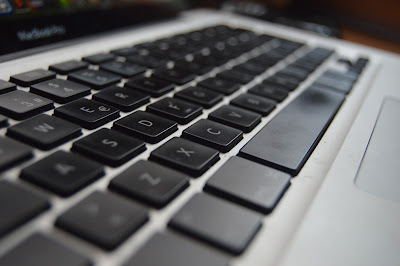 If you're comfortable installing Linux on your Chromebook as i'll explain further in this article, your Chromebook could be your best programming laptop. Chrome OS also has a few text editors and you can then use tools to SSH your scripts over to your server but I really wouldn't recommend this option. Now, if you really, really, want to write, build and edit software on your Chromebook, there are two possible solutions you can explore - You can either install Linux or you can use an online IDE. These two options will be explained further. Chrome OS is essentially a distribution of Linux and so with a bit of tweaking and a tool called Crouton, you can set up Chrome OS to run side by side with a desktop Linux version that will allow you to do your software development work. Crouton is an open source project and installing it turns your Chromebook into an ultra-flexible computer with Chrome OS for watching movies, reading emails and surfing the Internet and Linux for software development and other heavier stuff. The best part is that you can switch between platforms at the press of a keyboard shortcut. No reboot required. Wait patiently and answer the prompts. Cycle through Chromium OS and your running graphical chroots using Ctrl+Alt+Shift+Back and Ctrl+Alt+Shift+Forward. Exit the chroot by logging out of Xfce. And with that, you now have your own desktop Linux version running on your Chromebook. Congratulations! Feel free to install your necessary software development tools on the Linux OS while using the Chrome OS for more lighthearted stuff. If you're not excited about running the Crouton scripts and installing Linux on your Chromebook, we don't blame you. It can be quite a daunting experience for someone who isn't used to playing around with their operating system. If you're not comfortable doing so, don't worry as online IDEs provide a simpler solution. Online IDEs allow you to write, edit, compile and debug your code - all on your web browser itself. Here are some recommended IDEs you can check out. It's definitely possible to code on a Chromebook, and while you have to jump through some hoops before you're able to do so, i think it's totally worth it. Especially so if you're the kind of person that likes to tinker. If you're not comfortable installing Linux or using an online IDE, then consider getting an inexpensive 2nd hand laptop and write all your code on that and keep the Chromebook for lighthearted surfing and watching videos.